Places pins on the World Map and Minimap for every known Ephemeral Crystal spawn location in Azsuna. Pin tooltips with detailed location descriptions. Cave locations. Pin customisation. Over 100 unique & documented spawn locations! Instal: Like any other AddOn. Set up: Works 'as is' but is configurable. Minimap Options: Left Click or Shift Left Click on a pin to change the pin texture. Each click cycles forwards or backwards through a list. Changes will also appear on the World Map. Applies to a single pin only. Excellent for fast marking of visited locations or locations where a crystal was found. New! World Map Pin Options: Click on a pin. A Drop-down menu appears. You may select a texture for that pin or apply the texture to all pins. Changes will also appear on the Minimap. New! World Map "Magnifying Glass" Options: Click the button in the top right of the World Map. 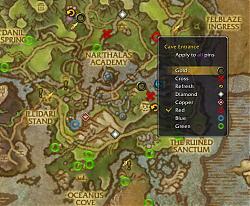 Check boxes allow you to show/hide the crystal and cave locations. There is an option to remove all individual pins settings (i.e. reset). 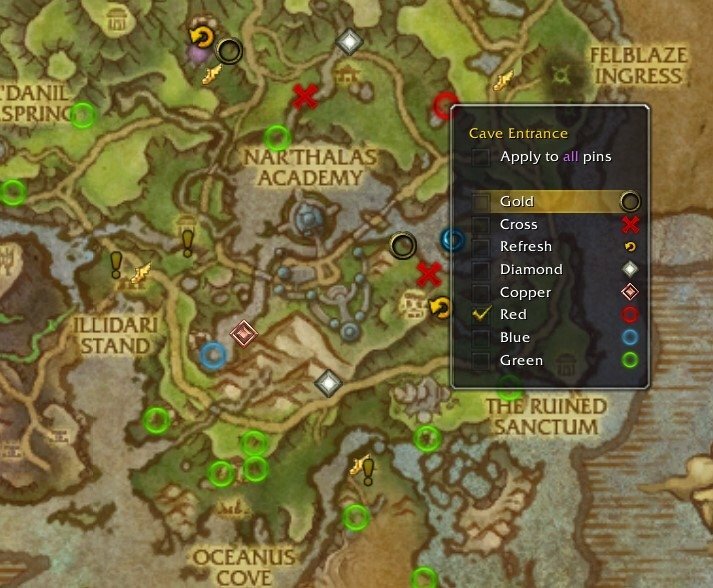 There are options to jump to the Azsuna and Oceanus Cove maps as appropriate. Changes will also appear on the Minimap. New! Command Line: Enter '/lfh', '/hippo', '/hippogryph' in chat. Use '/lfh s 20', '/lfh s 40' (for example) to change the pin sizes. Chat Links:*Activate the edit box of any chat channel. Hold down the CTRL key. Move the mouse over a pin. Link, description and coordinate data will be pasted to your chat channel. Just hit ENTER to send! World Map / Oceanus Cove / Cave locations are NOT muddled together! There is a rare mount, the Long-Forgotten Hippogryph, which may be acquired by farming Ephemeral Crystals. When the mount is available crystals will be scattered across Azsuna in over 100 possible locations. 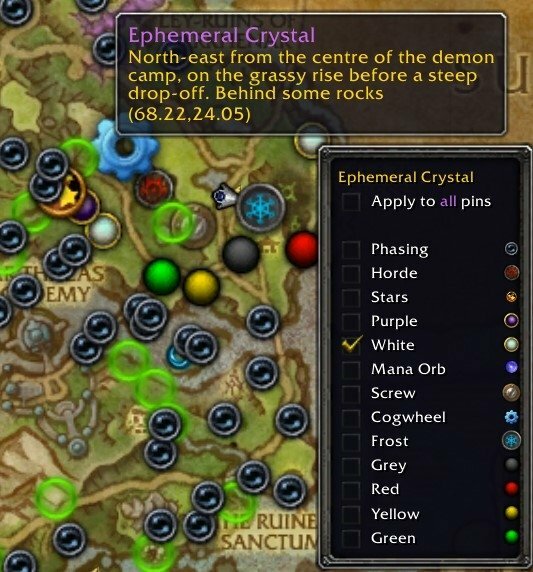 The first player to click on five crystals will acquire the mount and the crystals will then despawn for an amount of time, speculated to be 2-8 hours. Note: If nobody has clicked on any crystals then only one will be visible. Once a player has clicked on that crystal a second will spawn, and so on until all five are visible. This means that after each found crystal you must recheck all possible spawn locations, except if you are certain all five are already visible. If you disconnect then just quickly reconnect and continue. You do not need to restart. If you exit the zone or die you will lose all progress and you must revisit previously found crystals. For detailed discussion of the mechanics of the grind I recommend PurgatoryWolf's Guide and Xisthena's Guide. Note: Just as I did with my Netherwing Eggs AddOn, this AddOn will grow to be the definitive source of spawn points. NE is unrivalled in its thoroughness and accuracy. 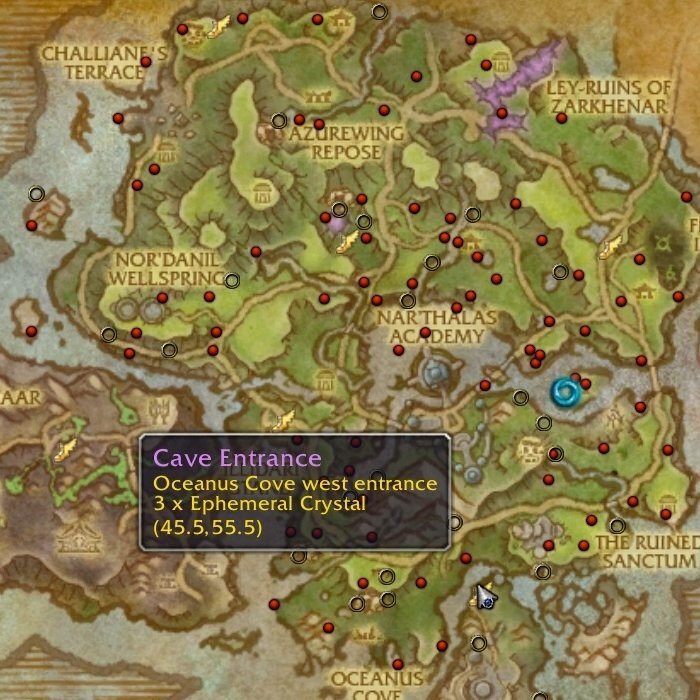 This AddOn commences with all publicly known and verified with screen-caps spawn locations. Reports at Wowhead or elsewhere which have not been substantiated with a clear and verifiable screen-cap have not been included, with one or two exceptions. Note: The individualised long text descriptions were not translated. It was Seerah's Pick of the Week! 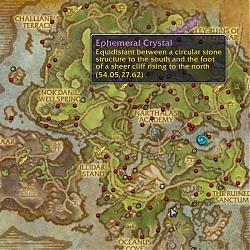  World Map drop-down menus New!  Minimap "quick change" texture mechanism New!  Fast navigation to the Azsuna and Oceanus Cove World Maps New! Many caves exist in Azsuna, some are quite small and others extensive. One such cave, the Oceanus Cove, even has its own map coordinate system and World Map! I have documented almost 40 of the caves. Many but not all might have a crystal. They are very worthwhile to check. Any report must have a clear and verifiable screen-cap. Please read LFH Help in my FAQ and also Missing from the AddOn. Thank you. Great to hear and thank you! Yea... I had to wait until I got my computer upgraded AND PvP was optional on my PvP server. That was long after I had written the addOn, although I never admitted it at the time, lol. v1.03 and forward is for Battle for Azeroth. Fully functional. Some new/better functionality. v1.02 is friendly with several previous expansions and will be retained here for you to download. It was way too much trouble to roll an AddOn friendly to ALL expansions in this case, sorry. Last edited by Taraezor : 09-14-18 at 09:16 AM. Hi! Thanks for your addon, it looks great, unfortunately for some reason, in 8.0.1 it doesnt work for me, the options didnt come up no matter what i write in the chat, and it is installed like every other mods i use, i see it in the interface/addon menu ingame as well, but no map markers or options coming up. Any tip or workaround would be greatly appreciated. Thanks in advance! BfA broke it. Enabling "Out of Date" AddOns will not fix this one, sorry. I am still (sigh) actively playing WoW, just struggling to get toons levelled etc before BfA hits. This AddOn will be updated. No ETA sorry. Glad you like the AddOn! And readers won't be aware of this but it was Barleduq's idea in the first place!!! I was NOT even aware of the mount at the time!!! About time I acknowledged the many bug reports and other helpful comments from Barleduq over time (years?) for my AddOns and I am sure other authors too. Many thanks! Last edited by Taraezor : 07-06-17 at 06:05 AM.